Properties in South Padre Island Convention Centre average 4.5 out of 5 stars. Beach House - Private Pool and Outdoor Space Your beach HomeAway from home! Property 1: Beach House - Private Pool and Outdoor Space Your beach HomeAway from home! Your Own Private Pool And Grilling Area! Property 4: Your Own Private Pool And Grilling Area! BEAUTIFUL 3BR TOWNHOUSE STEPS AWAY FROM BEACH WITH JACUZZI - BOOK NOW!!! Property 5: BEAUTIFUL 3BR TOWNHOUSE STEPS AWAY FROM BEACH WITH JACUZZI - BOOK NOW!!! Bright and family-friendly duplex with prime location near the beach! Property 6: Bright and family-friendly duplex with prime location near the beach! 1000 sq ft rooftop deck, 360 degree view of the island, watch amazing sunsets! Property 7: 1000 sq ft rooftop deck, 360 degree view of the island, watch amazing sunsets! Contemporary family-friendly home with private pool and a great location! Property 8: Contemporary family-friendly home with private pool and a great location! Bayfront Townhouse with Unique Pool & Boat Slip! Walk to the Beach! Centrally Located! Property 11: Bayfront Townhouse with Unique Pool & Boat Slip! Walk to the Beach! Centrally Located! Ocean Front Townhouse with Beach Views! Walking Distance to Restaurants & Entertainment! Property 12: Ocean Front Townhouse with Beach Views! Walking Distance to Restaurants & Entertainment! BIRDERS, GOLFERS, BEACH LOVERS, SNOWBIRDS WELCOME! Property 13: BIRDERS, GOLFERS, BEACH LOVERS, SNOWBIRDS WELCOME! Charming Townhouse with Private Heated Pool! Just a 1/2 block from the beach! Property 16: Charming Townhouse with Private Heated Pool! Just a 1/2 block from the beach! 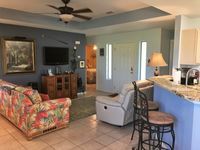 Bring your family and pets to our friendly vacation townhouse..
Property 18: Bring your family and pets to our friendly vacation townhouse.. Walk Off the Patio and Onto the Beach! Property 19: Walk Off the Patio and Onto the Beach! Property 24: Beachfront Bungalow at the Sapphire Resort & Spa! Private Hot Tub, Resort Pool & Beach Access! Mi Casa es Su Casa - Entire Townhouse on the Gulf of Mexico, prepare to be pampered! Property 26: Mi Casa es Su Casa - Entire Townhouse on the Gulf of Mexico, prepare to be pampered! South Padre Island private Vacation Home. Property 35: South Padre Island private Vacation Home. Property 36: Multi-level home near beaches and restaurants offers all the comforts of home! Property 37: Summer time special! EASTER BREAK ON THE ISLAND! 1/2 Blk to beach! GORGEOUS CLEAN HOME!! Property 40: EASTER BREAK ON THE ISLAND! 1/2 Blk to beach! GORGEOUS CLEAN HOME!! Beachside getaway with contemporary style and a location close to the action! Property 42: Beachside getaway with contemporary style and a location close to the action! Great Getaway. Welcome Winter visitors! short walk to the beach. Property 44: Great Getaway. Welcome Winter visitors! short walk to the beach. Spacious townhome with a private pool, near family-friendly attractions! Property 48: Spacious townhome with a private pool, near family-friendly attractions! There were 9 of us, 3 adults and 6 kids ages 16 to 4 years old. Right on the beach. Plenty of room, clean, full kitchen, 3 1/2 baths, extra linens and blankets. It was great! The house had every thing we needed and was the perfect location for us.